Experience the fine art of hospitality and the ultimate in personal service set in the midst of a city world-famous for its charming history and cutting-edge style. 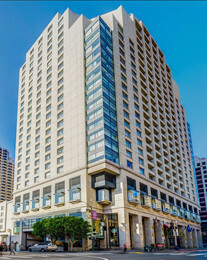 Hotel Nikko, just steps from Union Square in the heart of San Francisco, offers up top-tier entertainment at Feinstein’s, bold Asian-inspired California flavors at ANZU, an expansive health club, glass enclosed indoor pool, and beautiful views of the city and surrounding bay. Explore the best of the city within moments, and retreat to your own private, urban refuge, designed with a modern, Asian influence. Make your reservation by phone or online to book your room at the reduced rate. Call the Hotel Nikko reservations department: (415) 394-1111. Reference Western States M&A Symposium 2019. Reservations must be made on or before the cut-off date of May 21, 2019 in order to be eligible for the group rate. "Great speakers and presentations with timely insights into industry trends. Must attend to anyone considering M&A as part of their succession planning."